The agency would be able to block websites without seeking out a court order, but would still be subject to review by the Federal Court of Appeals (FCA). According to the documents obtained by Geist, Falzon initially responded to Milliere by stating that “there is a significant possibility of receiving criticism and counter-opinions publicly from staff and faculty at Ryerson,” in response to the FairPlay Canada coalition’s goals. “There are as always varying views allowed to nurture at a University,” wrote Falzon, in an email to Milliere. MobileSyrup has reached out to Bell and Ryerson University for comment. This story will be updated with a response. Geist revealed in May 2018 that Bell successfully lobbied Brock University to support the FairPlay Canada coalition. Interestingly enough, Bell was reportedly able to connect with Brock University through former Ryerson University professor Cheri Bradish. Geist later revealed in June 2018 that Bell had also successfully lobbied George Brown College. TSN senior vice president Mark Milliere was responsible for lobbying both Brock University and George Brown College. 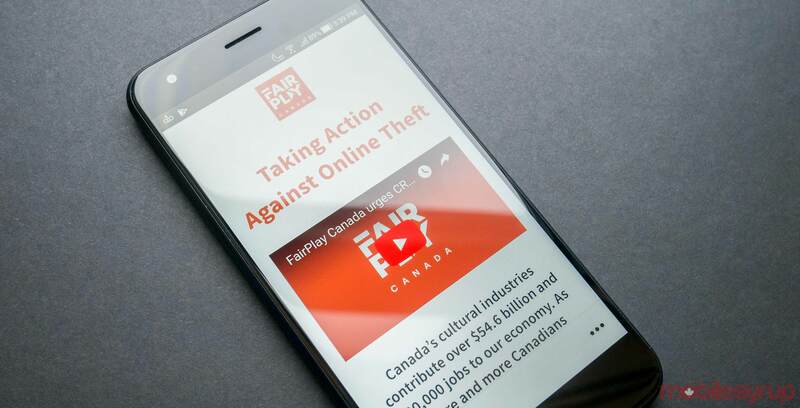 Despite the support that FairPlay Canada has seemingly amassed, a number of groups — including digital rights advocates OpenMedia and members of the federal government — have expressed opposition to the coalition. OpenMedia even went so far as to stage a day of protest to raise support against the FairPlay coalition. The group was able to submit 60,809 comments in opposition to FairPlay Canada to the CRTC. Canada’s House of Commons Standing Committee on Access to Information, Privacy and Ethics (ETHI) also released a report recommending that the government request the CRTC reconsider its decision, in the event that the Commission issues a ruling in favour of the FairPlay Canada application. “Therefore, the Committee is concerned that, in the event that the CRTC accepts FairPlay Canada’s application, net neutrality may be eroded in Canada by allowing Internet content blocking and censorship,” reads an excerpt from the May 9th ETHI report. Bell has also been accused of inappropriately reviewing the FairPlay Canada application with the CRTC, though the Commission responded to those accusations by stating that the meeting was in-line with standard procedure. “The CRTC staff meet with all stakeholders, including consumer groups, on a regular basis,” wrote CRTC spokesperson Patricia Valladao, in a previous email to MobileSyrup. As of May 14th, 2018, the CRTC is no longer accepting reply comments for the FairPlay Canada file. The Commission is expected to move to an analysis phase before coming to a final decision.